Autistic patients, there is a nickname-' Children of the Stars ', they live in their own world, as if very close but like the stars are difficult to approach, some people say they are geniuses, some people say they are heterogeneous, they can see, can say, can listen, but as if the mouth can not say, ignore. Female is the mother of the weak, just The owner of Aunt Xu's daughter is autistic, 30 years, Aunt Xu a person to take care of her daughter. Daughter's favorite thing to do is to go around the room, non-stop, and constantly stamping their feet. Fushun winter is very cold, no warm, daughter has a lot of cracks on her feet, every day to help her daughter bathe, massage feet is necessary for Aunt Xu homework. Living in the old house, this also gives Aunt Xu mother and daughter both life brought a lot of inconvenience. In order to prevent the daughter to turn things dangerous, Aunt Xu will always put things ' shelved ', every time fetching things are very hard. Sometimes, the daughter does not sleep all night, loudly singing, shouting, the house is not sound, although the neighbors have been very understanding, but Aunt Xu Heart has been very guilty. In order to better take care of the daughter, let the daughter life more comfortable, these old house problems to be solved urgently. 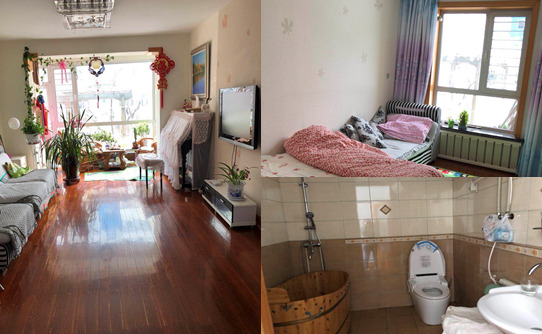 In the summer of 2018, in order to better care for the daughter of autism, Aunt Xu found a "Hand of God" reputation of the designer of the history of this, hoping to build a more suitable for the care of their daughter's home. Famous designer of this history, as early as the age of 26, the Japanese have obtained a certificate of architects. Throughout the country participated in a large number of residential, public facilities, such as architectural design, is the veritable king of all-round housing transformation. Last year, the history of the company helped the people with the frozen disease to rebuild their homes. First see Aunt Xu mother and daughter, the history of this is a very warm family, Aunt Xu Strong, hard-working, optimistic. 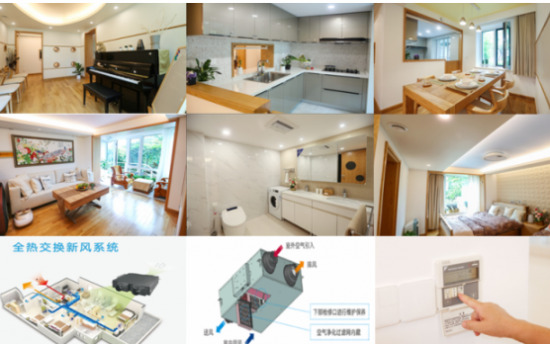 Considering Fushun's air condition and the special situation of Aunt Xu's, one of the key points of this transformation is to make the mother and daughter live more convenient and more comfortable. Music can not be betrayed, let the care of the daughter become more convenient Aunt Xu's life is divided into two sections, daughters and music. As a music teacher, the music became Aunt Xu's biggest adjustment outside the care of her daughter. Although life gave Aunt Xu all kinds of hardships, but she never thought of giving up, still grateful, will also in the spare time in the piano room to play, singing their own writing songs! The designer hopes that Aunt Xu still insists on her hobby in the hardship, so she separates a piano room from the room. Here are some design ingenuity to share, the room wall has many holes, this is ' interactive space ', to ensure that Aunt Xu at all angles can see the daughter's dynamic, convenient and timely care. Kitchen space has also done a small door design, not only to make cooking time to see the daughter, but also to prevent the daughter into the kitchen accident, half high design also increased the sense of space and extension of the sense of a good extension, extended the entire visual space. Aunt Xu's mother and daughter in Fushun, Liaoning, there are ' coal ' is called Fushun is a veteran industrial city, pollution, air quality is very poor, especially in the autumn and winter season, PM2.5 content will soar. Aunt Xu itself on the dirty air allergy, indoor and outdoor noise will affect the mood of her daughter, so the family does not open the window, also can not install air-conditioning, which led to their home indoor and outdoor air is not circulating, feel very uncomfortable. In order to solve the air problem, the history of this one selected large gold low temperature thin heat exchanger, the machine is set up with multilayer filter, not only can trap particles dust and a variety of suspended matter, but also effectively block the air particulate pollutants. You can also have comfortable air without opening the window. Autistic children are very sensitive to sound, too much noise will make them restless, large gold low-temperature thin heat exchanger in operation, the minimum operating tone to 22dB (A), to solve the noise problem. In addition, the north-east winter unusually cold, operating in the extreme conditions of the machine itself is a test. Large gold low temperature thin heat exchanger, in the installation process, the large gold standard temperature insulation and dew-proof construction standards, can ensure the normal operation of the equipment in the extreme environment. Aunt Xu said: ' I am the most beautiful, most expect the life, is the daughter day by day to become better and healthier! ' There is no sympathy sigh, but there will be some people for the strong applause, life to Aunt Xu, but also taught her to fight the courage of the ordeal, accompanied by a daughter, there is a melodious piano!